Children's Rights Florida is supporting the pending alimony reform legislation in Florida. 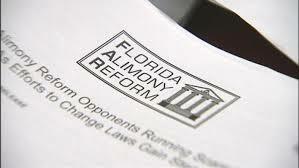 Florida Alimony Reform legislation will finally bring structure and order to our broken and outdated permanent alimony and family court laws. For the first time ever in our state, the parties to a divorce will have formal guidelines (much like how Child Support is efficiently handled in Florida) that will outline the amount and duration of alimony awards. There will also be protection for our children to keep them from becoming “money chips” that predatory litigating divorce attorneys use for their own financial gain. Our proposal also provides for significant judicial discretion to allow our Judges to address those unique situations that require an “outside the norm” solution. The Florida reform bill is quite modest and reasonable. Sadly, but predictably, is opposed by those who have a vested financial interest in extracting as much money as possible for themselves regardless of the injustice or damage to the innocent, including children.